Water Temperature Sensor as fitted to all of our engine management kits. M12x1.5 fitting, uses a 19mm hex for screwing it in. 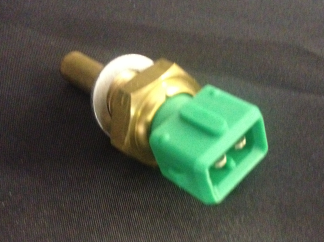 Green connector compatible with 2 pin Minitimer fittings.